Session 269. The wind was building a bit late in the afternoon so I headed down to Hampton. 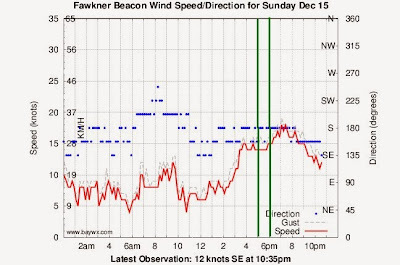 SSE at Hampton is light on the beach so I took out my Sector 60 and Lithium 12 and was immediately cruising fast. 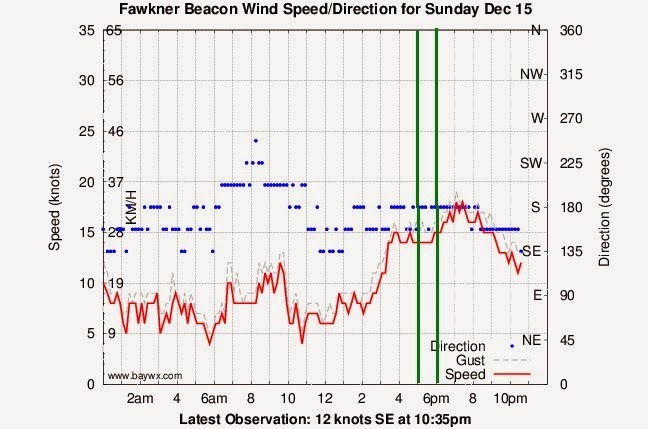 The wind was 10-12 knots close to shore and 15 knots out past the breakwater. I was doing some small jumps off the swell on the way out, and surfing down the big rolling swells on the way back in. The Sector 60 board makes lighter wind conditions like this lots of fun. I attempted a couple of Duck Tacks and succeeded in rotating around under the kite, but I came right off the board and ended up downwind on both occasions. The kite lines were crossed afterwards too. There was nobody else on the water. Solitude in Melbourne! Its been a couple of weeks since my last session so it was great to get out.